It's refreshing to find that Optoma has racked its brains and come up with a delightful little product that includes everything you need to create an HD cinema in a truly portable package. 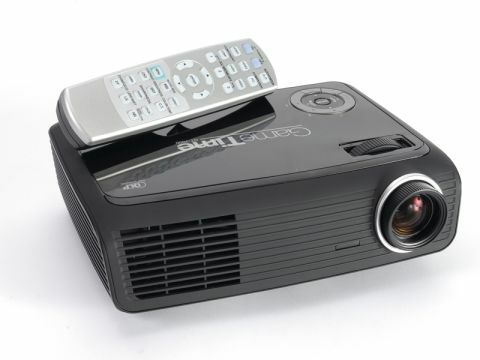 The GT-7000 projector itself is a compact 720p DLP unit. It's a thoroughly competent pint-sized beamer, with decent black levels and lovely colours, even if there's some evidence of compression in our test scales. The really clever bit comes with the single-piece portable speaker kit and rucksack carrying case, which comes as part of the package. The speakers are hardly audiophile-friendly, but they produce acceptable sound and slip into the compact carry case along with the projector. Simply add a laptop and the job's a good 'un.